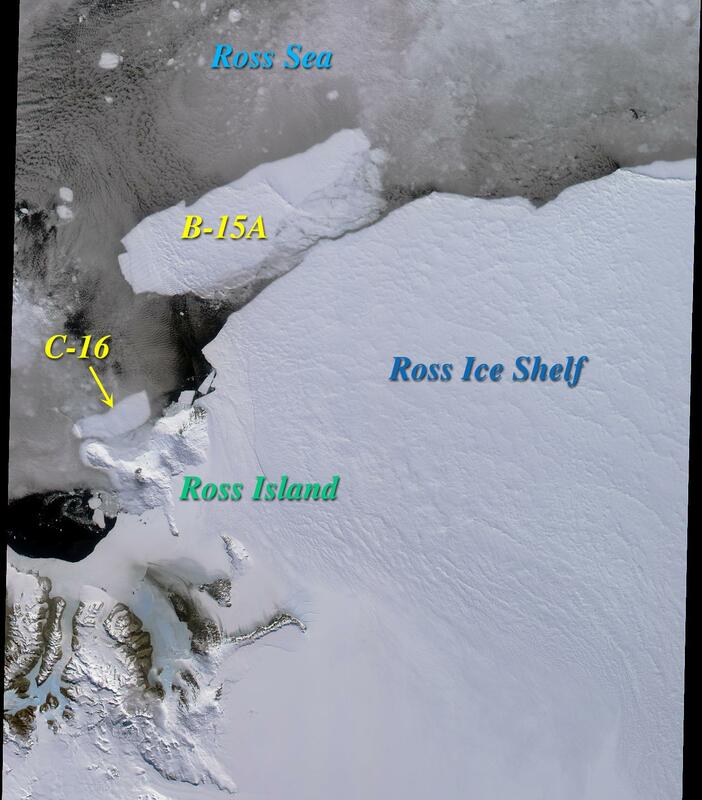 Two large icebergs, designated B-15A and C-16, are captured in this MISR nadir camera view of the Ross Ice Shelf and Ross Sea in Antarctica. The image was acquired on December 10, 2000 during Terra orbit 5220. 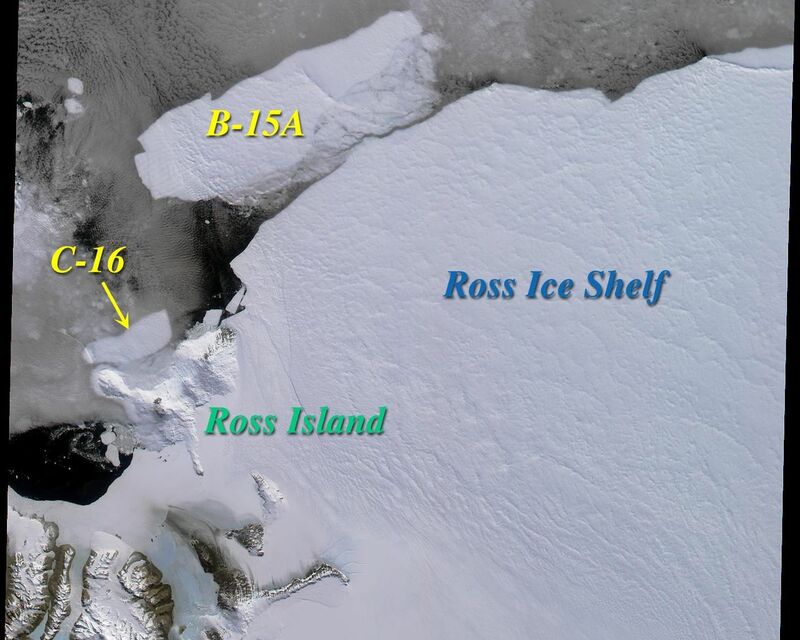 Iceberg C-16 calved off the ice shelf in late September and is nearly 50 kilometers in length. It is seen here having migrated to the vicinity of Cape Bird on Ross Island. The initial letter designation in an iceberg's name denotes the longitudinal quadrant in which it is first seen, and new icebergs sighted in that quadrant are sequentially numbered. B-15 divided from the ice shelf last March, and initially was nearly as large as the state of Connecticut. It has since broken up into several pieces, hence the final letter designation in the berg shown in this image. 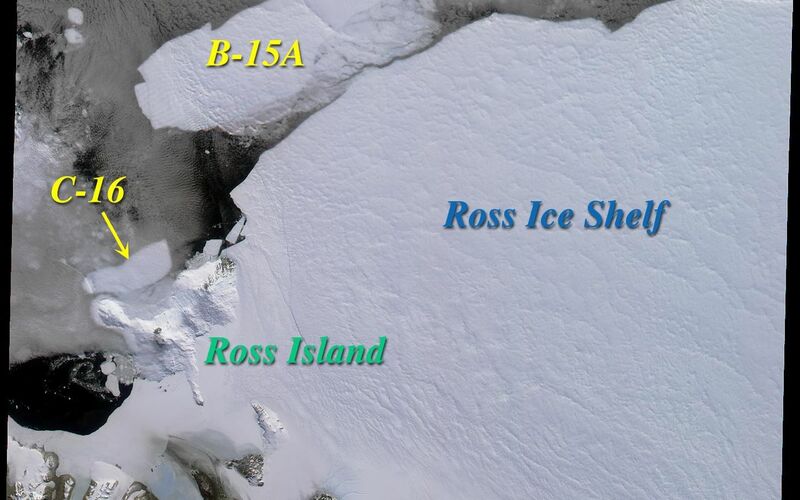 Ross Island lies between 77 and 78 degrees south latitude, and consists of several volcanic peaks, of which the still active Mt. Erebus is the tallest (3794 meters). It overlooks McMurdo Station, a U.S. research facility located near the tip of the island's Hut Point Peninsula.